Women's Writing Circle : Musings of a Memoir Writer: Memoir or Autofiction? Is memoir truly a memoir if not everything in the story actually happened? Does the memoir writer have the leeway to use invention in storytelling? And, if we do, is autofiction, a genre term used to describe fictionalized autobiography, more accurate? 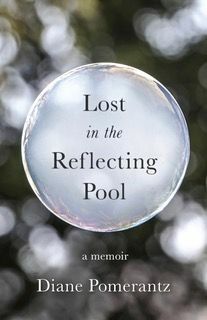 In this post, Diane Pomerantz, author of Lost in the Reflecting Pool, poses questions about accuracy, fact versus fiction and the use of literary techniques in memoir. 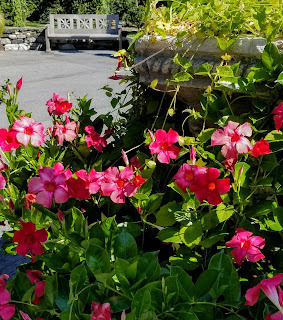 As a teacher, writer and editor of memoir, I know every writer of the genre has at one time or another asked the questions Diane discusses in this post. Please welcome Diane to the Women’s Writing Circle. From the first draft of Lost in the Reflecting Pool I struggled with whether this story should be presented as a memoir or a work of fiction. Not only was I concerned with protecting the people I was writing about, particularly my children, but I also worried about legal liability issues and my privacy as a professional in the community. I’m a storyteller and I love stories, listening to and telling them. Childhood memories of stories grounded me and made the earth solid beneath my feet. I’m a psychologist and through my work I’ve learned that through personal stories we touch the emotional core of others. In my professional life, I’ve seen precisely what I experienced as a child. I knew that if I wanted my story to be meaningful to others, no matter what I called it, fiction or memoir, it needed to read like a story. I read countless memoirs, and as I put pen to paper, another belief I had became stronger. Once a writer puts her words out into the world it is never again just the writer’s story. The story is forever transformed by every reader. No matter what the writer has written, the words are always seen through the lens of the reader and thus it becomes a translated story. The writer sets out a canvas upon which the reader can project whatever emotions or issues he or she needs to derive meaning. The work no longer belongs to the author; the author bequests it to the reader to do with it what he or she needs to do for personal meaning. The writing is for the author, the finished work is for the reader. As I wrote I did decide I must take full ownership of my story and thus I made it a memoir. I put aside notions of using a pseudonym and only changed details to protect privacy. My writing style though remained the same. I made my way down the winding road, passing a beagle farm and a small sign marking the entrance to a vineyard. A black kitten ran across the road, and I had to make a sudden stop. The kitten sparked a memory of one of the other things that Charles had shared as we’d spoken on the phone earlier in the week. Didn’t he think to get some help? I asked myself, feeling a fleeting twisting in my gut. Charles had described. That unpleasant feeling in my gut gave way to excited anticipation and to readjusting my blinders as I saw Charles wave from the porch. Everything important here is factual, except that black kitten who ran in front of the car. I used that as a literary technique. “If you made up the kitten it is not a memoir, it is fiction.” The response was intense, immediate and unanimous. I was astonished that no one was even willing to consider discussion. This was an irrelevant detail. The important event was the memory of the kitten being placed in the sewer. It was important because I start my memoir with another horrible incident committed against a cat. This response to an irrelevant detail made and continues to make no sense to me. In fact, for me it negates my understanding of what the genre of memoir is about. Memoir writing is more than presenting facts. That would be autobiography. Memoir writing encompasses self-reflection. It also provides a meaningful message for readers. Therefore, an irrelevant detail used to tie the real events together, continues to be an irrelevant detail. Perhaps had I been aware of the genre called autofiction, a term coined by Sergio Doubrovsky in 1977 and associated with contemporary French writers, I might have considered that my writing fell more accurately into that category. The French novelist and literature scholar, Catherine Cusset (2012) writes that autofiction differs from memoir. She states that, “A memoir tells the reader what happened. The writing is usually clear, simple, factual, and descriptive.” Autofiction, on the other hand, brings the reader inside what happened. It is the active way language is used that is different. Her words mirrored my intent when she wrote, “The author of autofiction actually doesn’t address the readers, but seduces them with language.” Having the kitten trigger the memory was a way I was attempting to lure the reader further into the story, I was seducing him. It was this that I wanted to do …write the real events in an experiential way so that readers could derive their own meaning. With that in mind, perhaps the label or genre was really inconsequential. What do you think? Is a memoir truly a memoir if not everything in the story actually happened? Does the writer of memoir have the leeway to use invention in storytelling? 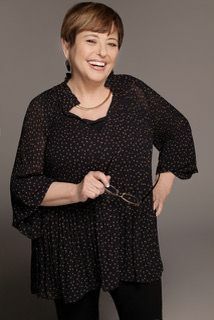 Dr. Diane Pomerantz is a clinical psychologist who has been in practice working with children, adolescents and adults in the Baltimore, Maryland area for over 35 years. She has done extensive work in the area of trauma and child abuse and research in the area of personality development of abused children. She currently runs Healing Through Writing groups in her practice. Writing has always been part of her personal and professional life, but Lost in the Reflecting Pool: a memoir is her first non-professional published work. She is a breast cancer survivor and she has two wonderful grown children. She and her shaggy dog, Rug, live amidst tall trees on the outskirts of Baltimore, Maryland.